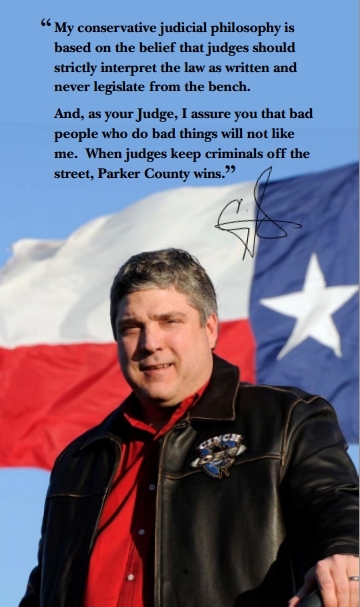 Craig Towson is a Republican candidate for Judge, 43rd District Court in Parker County. Craig is running for the court because Parker County citizens deserve a judge with a conservative judicial philosophy, who’s experienced in the law and respected by the local legal community. 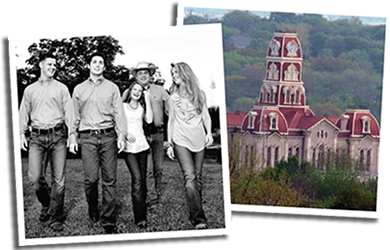 Parker County has been Craig’s home most of his life. He knows us and our values. Craig has experience in over 800 complex civil cases, over 300 criminal cases, worked 100’s of hours of pro bono work for local non-profit organizations, and has helped create over 100 companies for local business owners. He has been married to his wife Di Ann for 26 years, and they have three grown children: a son on active duty in the Army, another son in college, and a daughter in high school. They are members of Trinity Bible Church and live in Weatherford.